You are here: Home / Blog / fine motor activity / Valentine Game Printable – Free! Do you need a valentine game printable that is free? Then look no further! 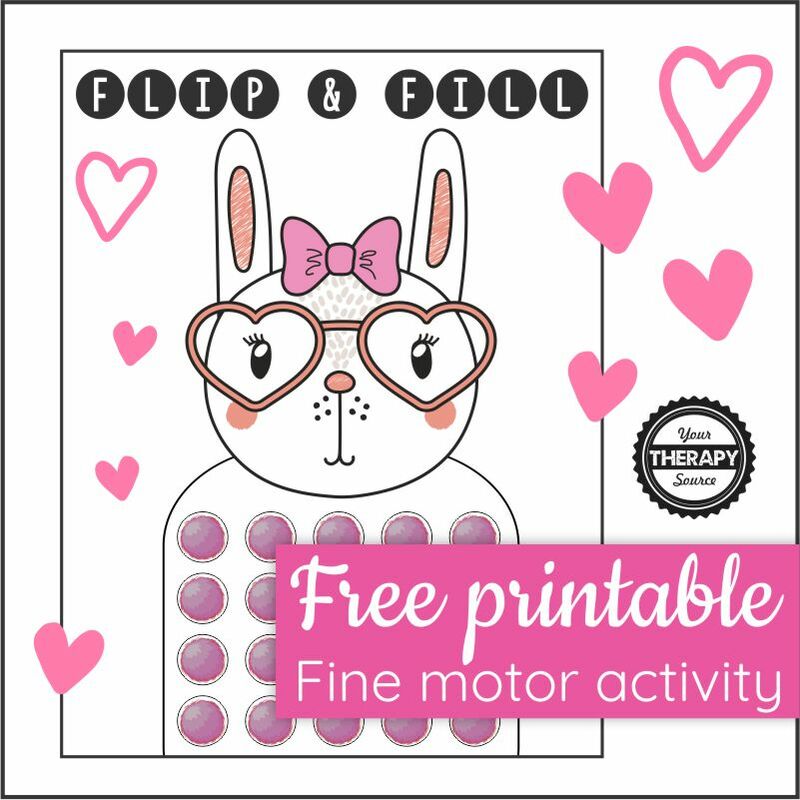 This whimsical and FUN printable encourages children to use their fine motor skills to fill up the bunny. Download the Valentine game printable below and print it out. Give each player a game board and directions if needed. 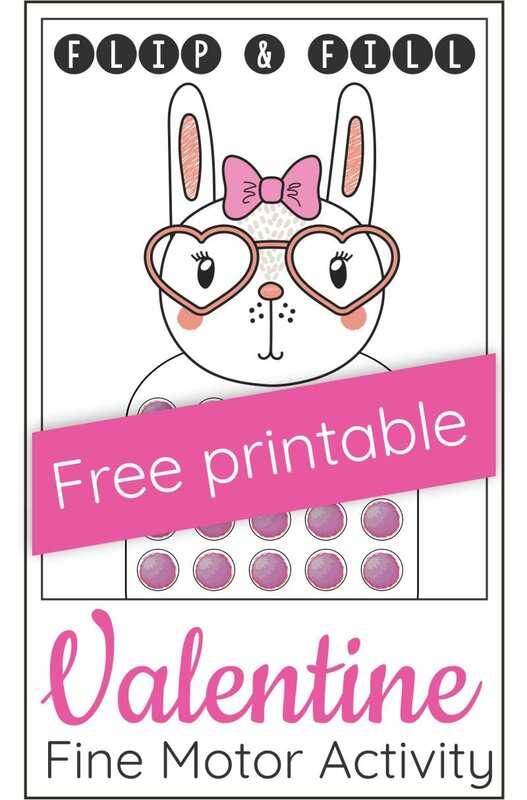 Decide how you will fill the 2o circles on the valentine bunny: small balls of clay, tongs with pom-poms, dot markers, color in with crayons, pennies or bingo chips. The first player to fill in all 20 circles on the valentine bunny is the winner. 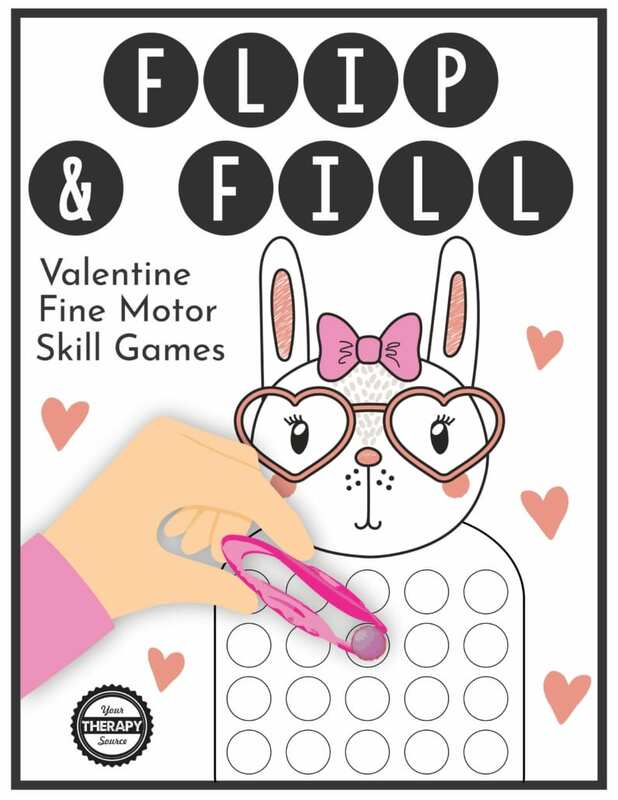 This bunny fine motor valentine game printable is from the complete Flip and Fill Valentine Fine Motor Game. 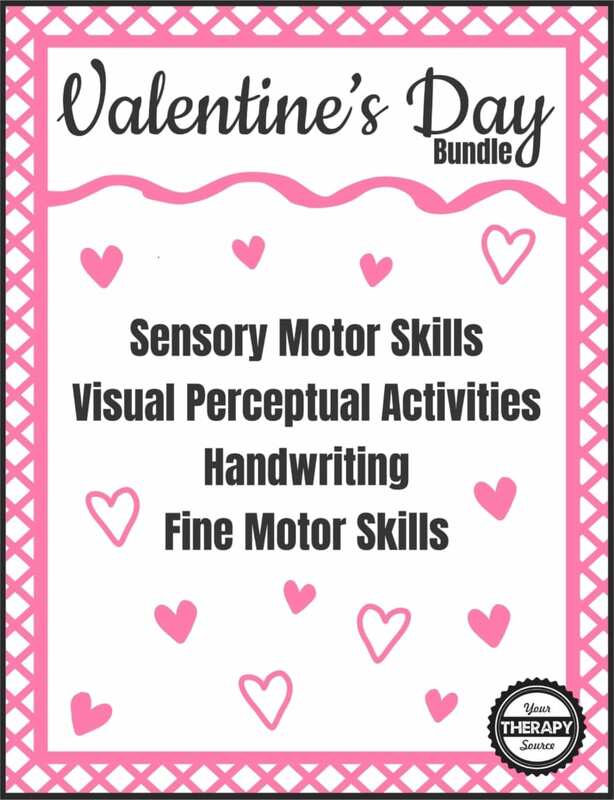 This digital download includes 10 different valentine game boards to practice fine motor skills and encourage hand strengthening. Want to make it a Valentine Matching Game? If you want to make it a Valentine matching game, simply write random letters in each of the circles. Grab some letter beads and the children can match the letter beads to the letters in each circle. Want to make it a Valentine Word Game? Do you know how to play boggle? It is game where you form words from letters that are next to each other. You can turn this cute valentine game printable into a valentine word game. Simply write random letters in each of the boxes. I recommend all capital letters and include vowels. Valentine’s Day words – 2 bonus points each! Want to make it a Valentine Math Game? Grab one die. Roll the die. Color in that many circles. The first person to color in all 20 circles in the winner! Screen Time and Young Children – Are today’s children ready for... Excessive Screen Time for Children – What does the research say?